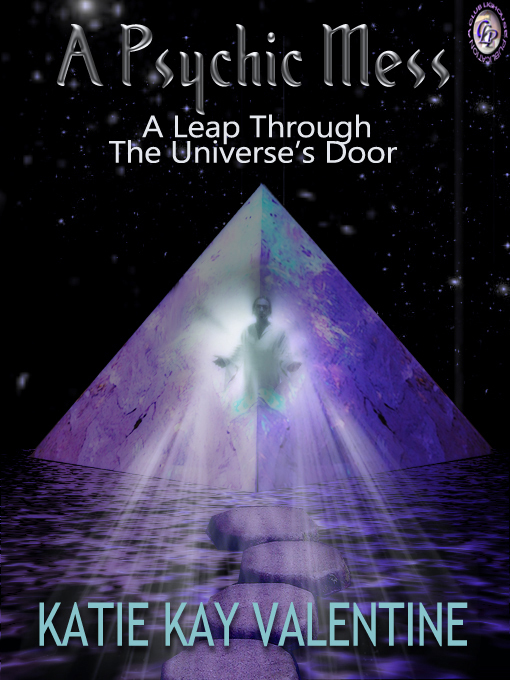 A Psychic Mess: A Leap Through the Universe's Door is a courageous account of how Katie took a leap of faith when searching for answers about unexplainable things occurring in her life. Was it possible that she was indeed psychic or was she in fact nuts requiring a doctor's prescription? Katie's search leads her to a place in the universe that is filled with surprises and beautiful energies, which she shows us is waiting for each of us. It's a place of goodness and light and nothing like the dark energies that Katie felt had haunted her in her childhood. Follow Katie through her journey and you will find yourself knowing that you've seen and sensed these things too. It's all quite real. SOMETHING MYSTIFYING AND MYSTIC leaped into the middle of my third-dimensional life. You may know the kind of life I mean. It's the one filled with work, meetings, and umpteen trips to the grocery store, watching your kids play softball, and grabbing coffee with the girls whenever you can. The entity that interrupted all that was a spirit or two or three; well, who's counting? This intrusion was caused by a calamity that sent my life into a tailspin. 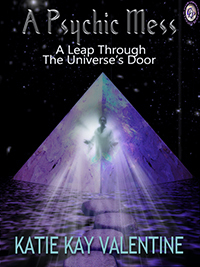 It provided the ideal state of mind for the universe to open its doors and reveal its brilliant synchronicity. I, on the other hand, was in no way prepared to suddenly have the cosmos slip into my ordinary life. To all of a sudden experience the universe through sensing, seeing, and hearing its many voices and its many spirits were unnerving events, and no less frightening. These experiences brought back long-forgotten childhood memories when I periodically saw spiritual beings and dark entities. But as I grew older and entered into early adulthood, the seeing went away along with my belief in them. Now the spirits and memories were back. This time was different. The spirits followed, watched, talked, and haunted me. They messed with my stuff, moved my belongings, opened cupboards, fixed things, and turned on lights and garden sprinklers. They revealed themselves to my young son who also became aware of the spirits present in our lives. We saw shadows, we felt the spirits touch us, and they whispered into our ears. With few options at my fingertips to explain these phenomena, I consulted a psychic who told me that these active spirits included my deceased grandmother, my spirit guide, and any other spirit who found out that I could see or hear them. Without warning, they interrupted my mundane life. I was consumed with questions: Is this real? How is it that I can suddenly see spirits again? Who are they? What do they want? Was I crazy? Who can I tell about having these experiences, and will they think I'm crazy? I found answers and refuge in the paranormal community, which changed my scepticism to believing in my intuition and sixth sense. It wasn't easy to remove layers of ideology from my personal wiring. It required leaving my fundamental religious' beliefs out of the equation, which I really didn't want to do as they were so much a part of who I was. In fact, it would have been easier to explain to my friends and family that I had a mental disorder rather than admit I believed that I could communicate with spirits. Once the decision was made to get assistance from those who embrace the mystical community, my consciousness opened up to areas of thought that I had no idea existed. In my process to understand these events, I found a world of psychics, mediums, shamans, fairy godmothers, and gypsies. It was a discovery of phenomenon, magic, angels, and the Divine Universe. This is my story about the year that I opened up to the realm of spirits living amongst us. This is the year I had a melt down caused by my misunderstanding of the universe, every part of the Divine and how a combination of the two can create a psychic experience. It was the year I was living in a psychic mess.